Chitra’s Hypnobirthing classes are informative, eye opening and a must do for every mum and their partner. Only Because of her classes I could remain calm through what was later classified as a very difficult labor.. she goes through various scenarios and teaches you all the possibilities (best to less ideal) to handle unexpected situations .. my husband because of the classes could help me in ways he would never have thought of on his own … her classes give you a lot of confidence in yourself and your abilities. Her classes can turn labour from a medical event in your life to a very personal experience that you share with your partner. Chitra helped me and my partner prepare for the biggest unknown so far – the birth of our first child. During her Hypnobirthing course, we understood what will be happening during birthing and got our preferences for the process crystal clear. That took a lot of pressure of the unknown away. Furthermore, we understood how can my partner help me when the birthing comes – we became a team. Chitra came recommended by my friend and I was very happy with her course – she is a warm person, makes you feel very comfortable and whole course is intimate, personal and enjoyable. What is more important, she delivers information about the birth so I knew what to expect and how to deal with it – even my husband who knew nothing about labor felt very confident afterwards. That what I value the most – at the end, I was no longer scared, I had no doubts, I learned through the course that I could trust my body – at the end my birth experience is really beautiful one! 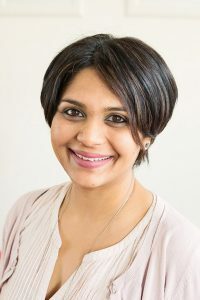 Chitra is a caring, compassionate and highly qualified childbirth professional. I attended her 5-week hypnobirthing course, which helped me to have a relaxed and truly enjoyable birth experience. Chitra’s course provided essential information about the basic physiological processes of childbirth and what to expect during delivery, while providing a nurturing and supportive environment in which she taught us to understand and work with those processes in a calm and relaxed way, to manage discomfort and reduce stress, to care for ourselves and to support each other. As soon as we found out that I was pregnant we started thinking about how we would prepare for the birth. I have never been scared of labour as my mom always told me labour was beautiful and natural. Still, we wanted to know what to expect and learn how to best achieve a calm birth for our first child. A friend told me about her experience with Hypnobirthing and although the ‘Hypno’ part didn’t initially appeal to me she was very down to earth and her birth sounded so serene. I found Chitra’s website and Chitra really took her time to call me and explain the course. It felt right for us from the start. Although we first planned to have the birth in the hospital, during the course and equipped with new knowledge we decided a home water birth was what we wished for. Chitra’s Hypnobirthing class is very down to earth. You learn about every stage of labour, the physiological, how to best deal with every phase of labour and how to deal with things that could go differently than planned. When my due date loomed I started to get a little nervous, especially because my sister gave birth a few weeks before and she had a long and tough labour. Chitra checked in on us regularly over the phone, offered advice and helped me to deal with my fear. In the end I had a beautiful labour at home in a birth pool and my partner was the best support I could wish for. I am sure that Chitra’s course had a great part in that. Even though we had to rush to the hospital right after the birth because I was losing too much blood, we managed to stay calm and positive thanks to our preparation and we were home again a few hours later with a healthy daughter.